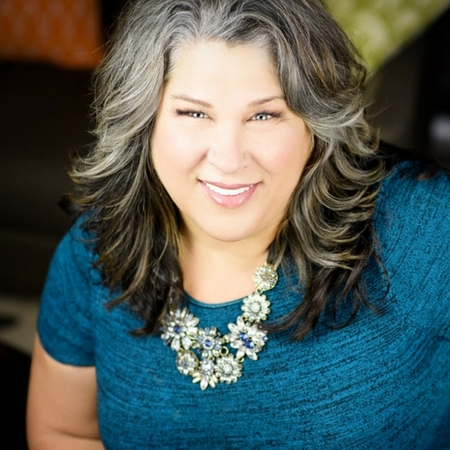 Cy Wakeman, New York Times Bestselling Author of The Reality-Based Rules of the Workplace and Reality-Based Leadership. For bulk orders, please email us at info@cywakeman.com. The average employee spends 2.5 hours per day on drama. Ego-driven behaviors are the #1 source of drama in workplaces today, and it’s costing organizations billions annually. The philosophy of “perfecting the environment” to create employee engagement just feeds the ego and generates huge amounts of drama and emotional waste. It is high time for a modern leadership philosophy that provides simple tools and techniques to eliminate drama from our organizations, deliver up employees who say yes to what’s next, and cultivate accountability, not engagement, to drive big business results. New research is suggesting that our current leadership and HR philosophies are fueling drama, rather than ditching it. 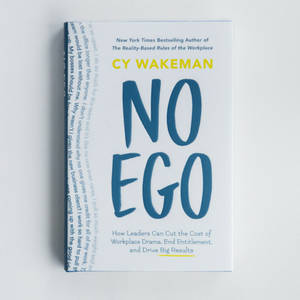 For over 25 years, Cy Wakeman has brought her Reality-Based philosophy to hundreds of organizations to help with an inefficiency that is costing billions of dollars annually – drama. Alongside that qualitative experience consulting, new research shows that the average employee spends two hours and twenty minutes per day in drama. What’s even more staggering is that leaders are reporting that they have ample leadership training programs and initiatives, yet, ego-based resistance to change, employee disengagement, lack of alignment to strategic initiatives and the lack of buy-in is on the rise in today’s workplace. In fact, the current work experience is so full of drama that it’s seen as normal – a forgone cost in today’s complex business environments. What if, through your leadership, this time and energy lost to drama could be re-commissioned and put towards the value that talent is intended to provide? So what is drama exactly? It is emotional waste. With any other waste in the workplace, organizations work hard on process improvement to eliminate it. How can emotional waste be eliminated? Good mental process improvement. The role of a leader is no longer to motivate, inspire or improve morale but to, instead, facilitate the use of better mental processes by creating what Cy calls, “No Ego Moments.” Along with redefining the role of modern leaders, No Ego reveals new leadership truths and provides proven tools and techniques to, in the moment, disrupt thinking, bypass ego, spur self-reflection, and help people develop the capacity to move more skillfully into reality. Peace and happiness are not illusive in the workplace. As egos are put to bed, emotional waste is eliminated. Innovation and collaboration become the natural state and work becomes less effortful and more joyful. Contact us for bulk orders at info@cywakeman.com. CY WAKEMAN is a drama researcher, international leadership speaker, and consultant. In 2001, she founded Reality-Based Leadership. She is the author of two books: Reality-Based Leadership: Ditch the Drama, Restore Sanity to the Workplace and Turn Excuses into Results (2010) and New York Times bestseller The Reality-Based Rules of the Workplace: Know What Boosts Your Value, Kills Your Chances, and Will Make You Happier (2013). In 2017, she was named as one of the Top 30 Global Leadership Gurus by Global Gurus, a Top 100 Leadership Expert to follow on Twitter, and was deemed “the secret weapon to restoring sanity to the workplace.” She lives in Waterloo, NE.